This is part two in a series on home improvement contractors in Phoenix. Click here to read from part one. What Happens When the Relationship Falls Short of Expectations? Everyone is different and not all people will get along. That’s a fact of life. Even if you do your homework in the beginning and act respectfully to each other, a relationship just may not work out for a variety of reasons. One thing to keep in mind is neither you nor your home improvement contractor in Phoenix wants a bad relationship. 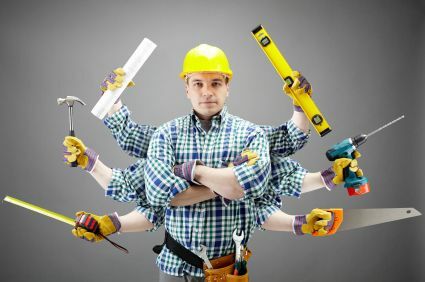 Contractors depend on references and word-of-mouth referrals. A reputable company will take every step possible to make sure your project goes smoothly. And, if obstacles are encountered, they’ll do everything they can to rectify them. It’s not in either party’s best interest for the project to stop and be started again with a new home improvement contractor in Phoenix. So, if you encounter relationship problems, it’s in both party’s best interest to work out the issues. Communicate regularly and effectively to express concerns. In addition, clarify the ground rules or establish new ones so your project can be completed to expectations. What may be bothering you about your contractor may have been acceptable behavior with other homeowners. And, since your desires may not have been clarified in the beginning, your contractor just didn’t know your requirements. Your relationship will be improved if you make the rules of your home known, preferably before work starts. But, if you’re experiencing frustration after your job begins, make sure you talk to your home improvement contractor in Phoenix. Chances are you can work out any issues and then you can look forward to a successfully completed project. For more information on choosing a home improvement contractor, contact Republic West Remodeling or continue to read our blog.